Construction is underway on barn like this one near the Fasig-Tipton auction facility off East Avenue. 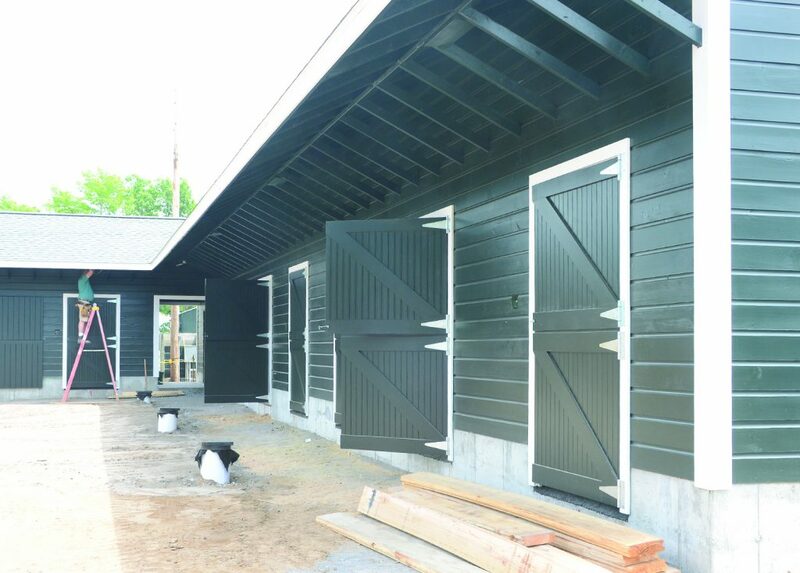 The new 2,580 square-foot barn will house high-end yearlings, the company said. Construction is underway on new 2,580 square-foot barn being erected by the renowned thoroughbred auction company Fasig-Tipton. The barn is being built on the corner of Case and George streets in Saratoga Springs, not far from Saratoga Race Course. The project is being managed by the LA Group. Officials said it will be ready for use at the 2018 yearling sales this summer. The barn will contain 19 stalls and the building will compliment the existing structures across the street. The plans also call for sidewalks, street lights, trees and decorative fencing on the 0.43-acre lot owned by Fasig-Tipton. 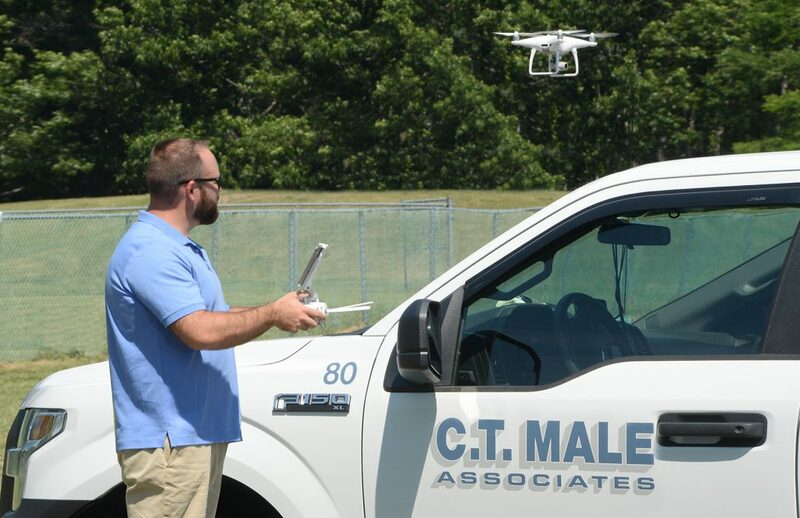 In order to do so, the company has committees to analyze new equipment and software and to train employees to use it. The company also has a separate IT department. Owners have multiple options for structuring payments to their contractors, and choosing the appropriate payment model largely depends on the type of project. The most common models include lump sum, unit price, and time and material, not to exceed (T&M NTE). Bonacio Construction Purchases Building That Once Housed Stark’s Auto On Excelsior Ave.
Bonacio Construction purchased the former Stark’s Auto property on Excelsior Avenue. 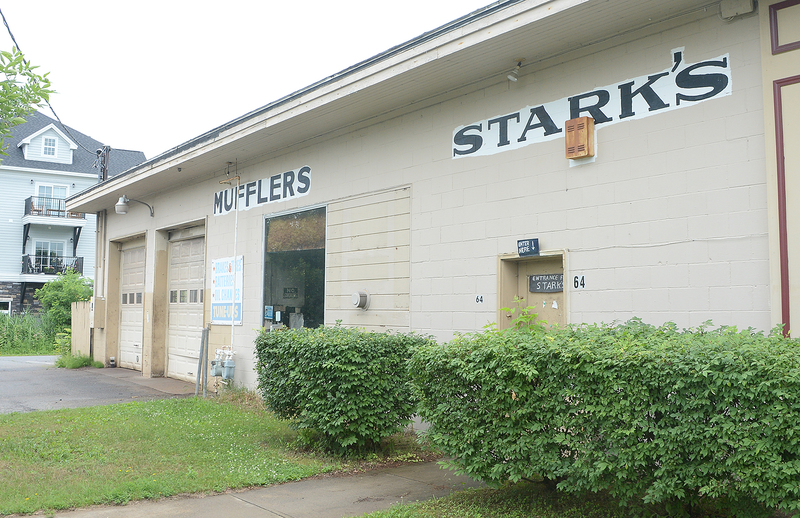 Sonny Bonacio, president of Bonacio Construction, has purchased the property on Excelsior Avenue in Saratoga Springs that was Stark’s Auto for some 60 years. Bonacio said he has not yet finalized plans for the parcel at 62-64 Excelsior Ave. He purchased the property on May 25 from Sidney Stark. The purchase price was $450,000 and the deal was made through Bonacio’s real estate holding company, RR Depot LLC. He called the purchase “a defensive move.” His company recently constructed 14 residential condominiums at Excelsior East, as well as four 1,500-square-foot commercial spaces. 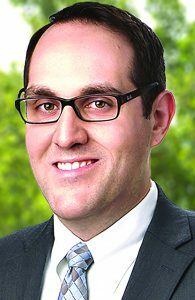 While 12 of the 14 condominiums have been sold, three of the four commercial spaces have not been filled as quickly as Bonacio anticipated. 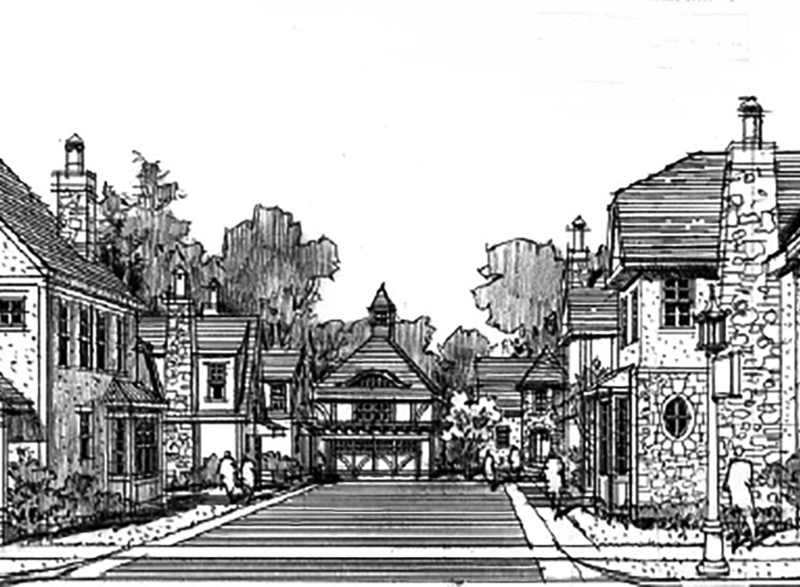 This is a rendition of Downton Walk, a condominium neighborhood to be developed by Witt Construction at 27 Jumel Place in Saratoga Springs. Witt Construction is getting ready to begin construction on a new project, Downton Walk, in Saratoga Springs. The condominium project at 27 Jumel Place includes seven upscale English-style homes that will offer privacy combined with a feeling of community, according to the company. The parcel, which was cleared last year, was formerly home to a small manufacturing facility and a ballet studio with apartments. The intimate cluster of seven homes will be situated on one parcel of land, offering the feel of a small, intimate neighborhood enclave, but with the advantage of private yards. The homes will range in size from 2,000 to 4,000 square feet, with an abundance of optional spaces that could be used for such things as additional bedrooms, entertainment areas, gyms, wine cellars or lower level garages. 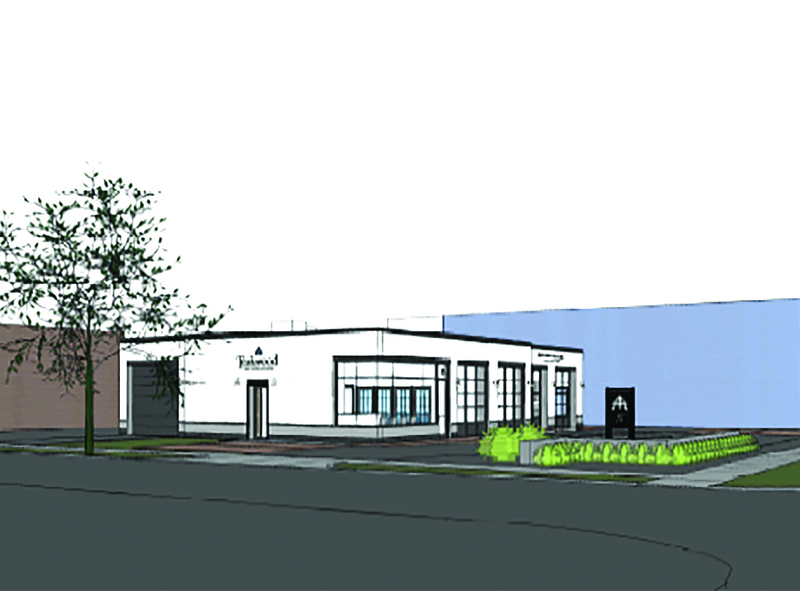 This is a rendering of what the new headquarters of Teakwood Builders will look like at 75 Church St. in Saratoga Springs. The work is expected to be completed by August. Teakwood Home Builders is about half way through its renovation and expansion of the 1940s-style box garage and former home of Mangione Locksmiths at 75 Church St. in Saratoga Springs. When it is complete, the building will serve as headquarters and showroom for the company. But it will also be an homage to an industrial age style of architecture that has faded from the landscape in this part of the country, the company said. Jim Sasko, owner and president of Teakwood Builders, said he conducted in-depth research into the history of the architectural style of the 1940s box-style garages. The typical design consisted of two overhead doors with a glass front that wrapped around one corner of the structure. Saratoga Economic Development Corp. (SEDC) unveiled in January plans for a new tech park that will add over 1 million square feet of ready-to-occupy commercial space for priority business sector uses. The 180-plus acre site—called Synergy Tech Park—is one mile south of Northway Exit 10, bordered by Route 9 on the east, Kinns Road to the south and the Northway to the west. Development will start this year. The announcement was made at SEDC’s annual member investor meeting marking its 40th anniversary year. Officials said MJ Properties of Clifton Park is the developer, led by its president, Mark Rekucki. SEDC will collaborate with the Clifton Park Industrial Development Agency on incentives to help attract growth businesses. SEDC and MJ Properties will co-promote the newly developed space to strategic commercial office, professional services and light industrial users. Some 405,000 square feet of proposed new space is already approved for commercial use and MJ Properties is pursing approval of an additional 600,000 square feet. The popular patio bar in the rear section of Hattie’s Restaurant was renovated this spring. Hattie’s Restaurant has finished construction of its renovated patio and re-opened it on May 3. Owners Jason and Beth Alexander decided it was time for the back patio to get a face-lift. With construction going on around them—including renovations at the neighboring Caffe Lena and construction of apartments at the corner of Phila and Henry streets—the Alexanders decided that the time was right to upgrade their back yard. 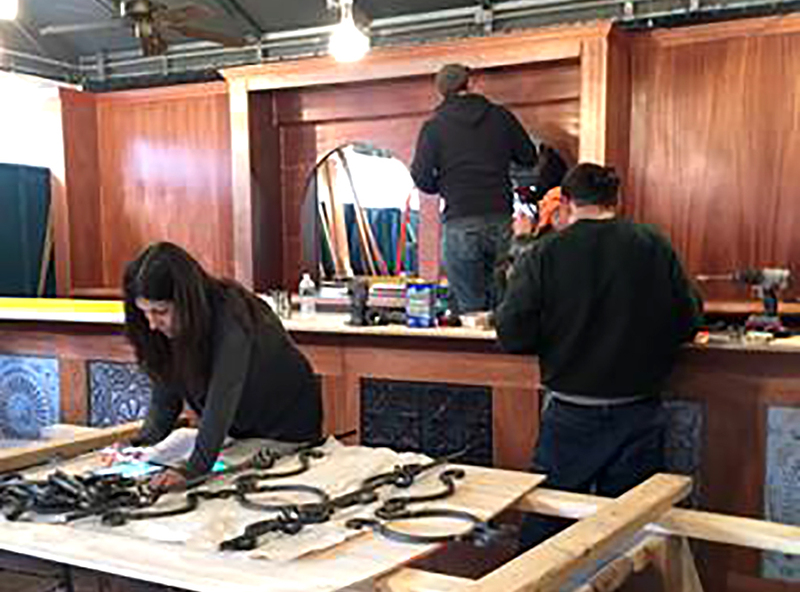 They hired long-time customer Matt Geleta to build the bar, past Hattie’s employee Sue Waldron of Sue Waldron Designs to work on the design and Patrick Coffey of IQ contracting as the contractor. 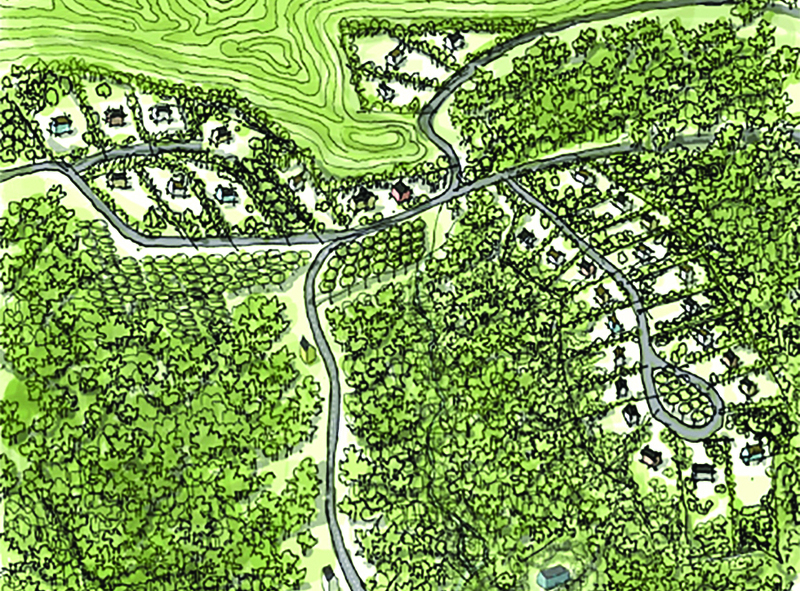 The light sections of this aerial-wiew rendition shows where Witt Construction plans to build new homes near Saratoga Lake. Much of the 111-acre property will remain undeveloped. Witt Construction Inc. in Saratoga Springs is planning a 32-lot housing subdivision on a about 111 acres of land on Saratoga Lake. Termed a “conservation subdivision” by John Witt, company president, it will be comprised of 31 new houses clustered on 58 acres of the lot. A pre-existing farmhouse and land for a “gentleman’s farm” will be the 32nd lot. He said. The rest of the land will be undisturbed woodland, open space or wetlands. Called Cedar Bluff Farm, the subdivision will be accessible from Route 9P via Cedar Bluff Road (County Route 71) and from Trombley Road. Most of the houses will be on Hill Road, which ends in a cul-de-sac, and on Trombley Road, said Witt. Cedar Bluff Road connects Route 9P and Trombley Road. 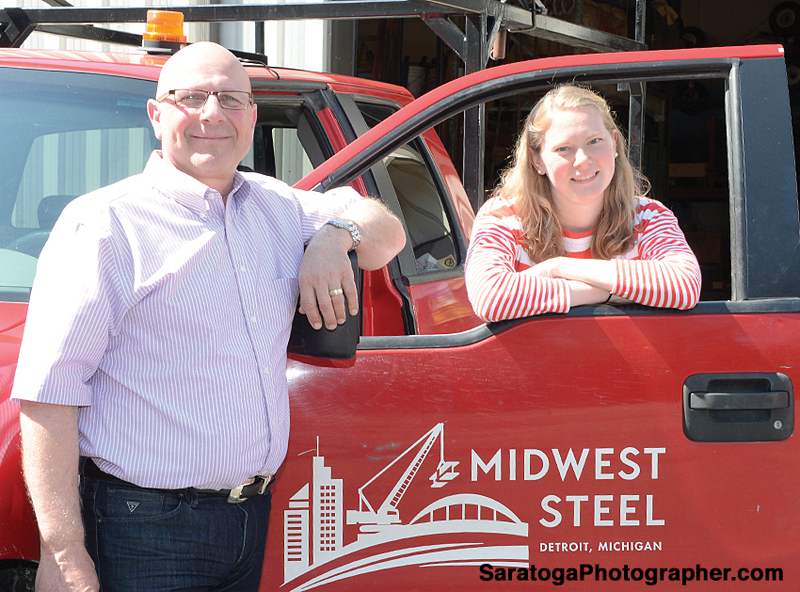 Dino B. Benedict is the New York business manager for Midwest Steel and Erika Ozols, project management administrator, pose at the company’s Ballston Spa site. The structural steel contracting industry is going so strong that one area professional foresees excellent employment opportunities for skilled ironworkers in the next few years. Dino B. Benedict is the New York business manager for Midwest Steel. Headquartered in Detroit, the firm also has offices in Muncie, Ind., Orlando, Fla., and Ballston Spa. In Saratoga County, it’s common to see a bridge, stadium, airport or other structures where Midwest Steel played a role in steel construction, precast concrete, or both. “It is not typical in the industry for a company that erects the steel skeleton of a building to also form the concrete slabs that enclose that skeleton,” said Benedict. Benedict said that some local projects include Samaritan Hospital, Rivers Casino, the ZEN building at SUNY Polytech, and GlobalFoundries. Business growth is so healthy in New York and the New England states that he predicts a shortage of welders, steel workers and other qualified laborers soon. “It is a great time for young people out of high school to contact local unions about apprenticeship programs,” he said. Whenever Midwest Steel takes on a project in the U.S. or Canada, the first step is for the project supervisor to meet with local union officials to discuss the scope of the project and manpower needs.